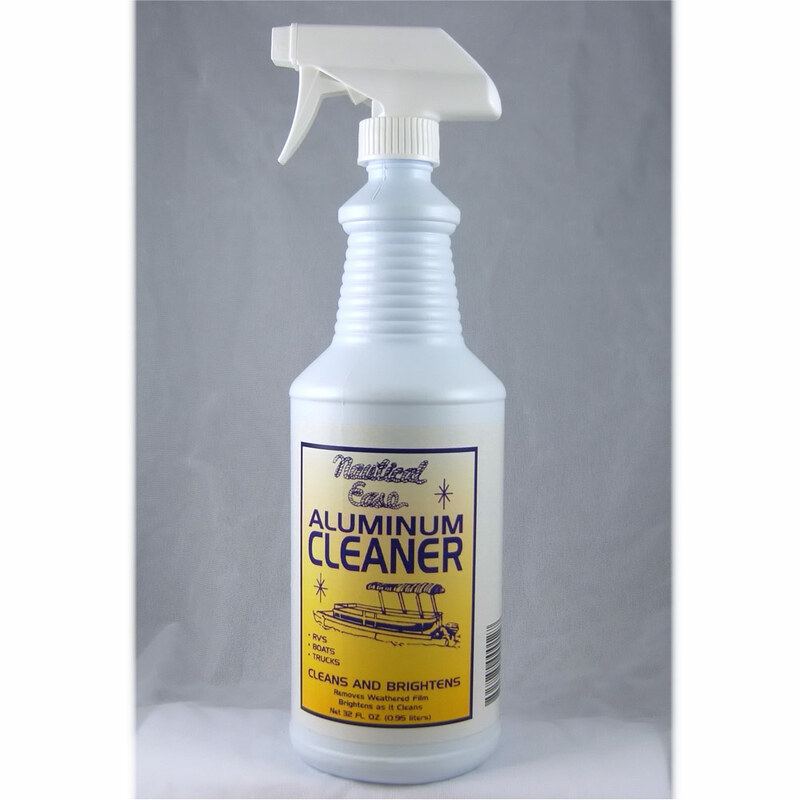 This technologically advanced cleaner from Nautical Ease is the only product of itsí type on the market. 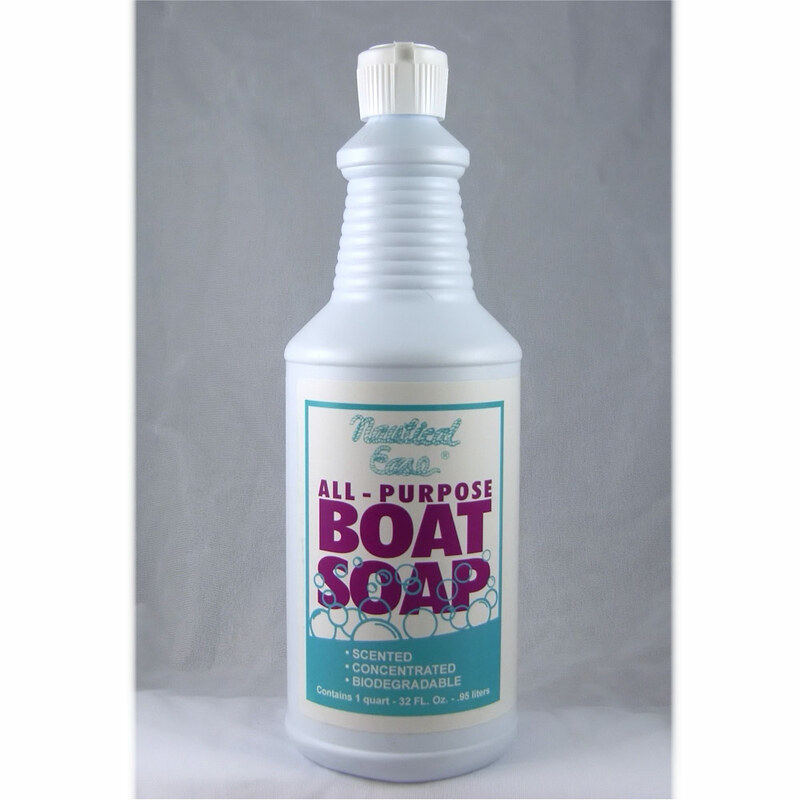 White calcium and mineral deposits that accumulate on inboard outdrives and outboard lower units are easily removed. This non-corrosive product does what formerly an acid had to do. A much safer and environmentally friendly product. 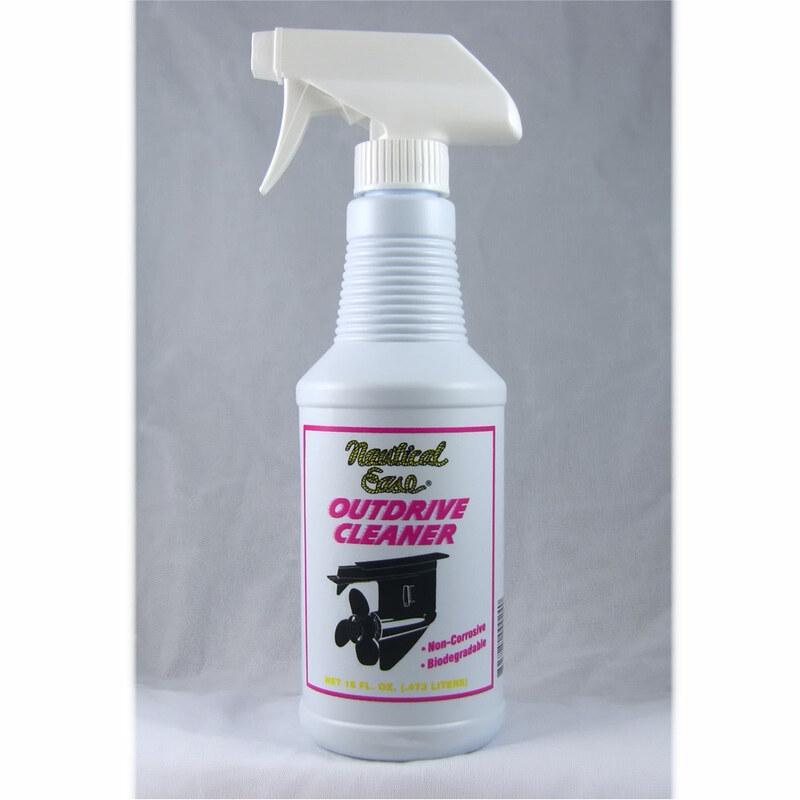 NAUTICAL EASE OUTDRIVE CLEANER will not remove the paint as acid based products do. 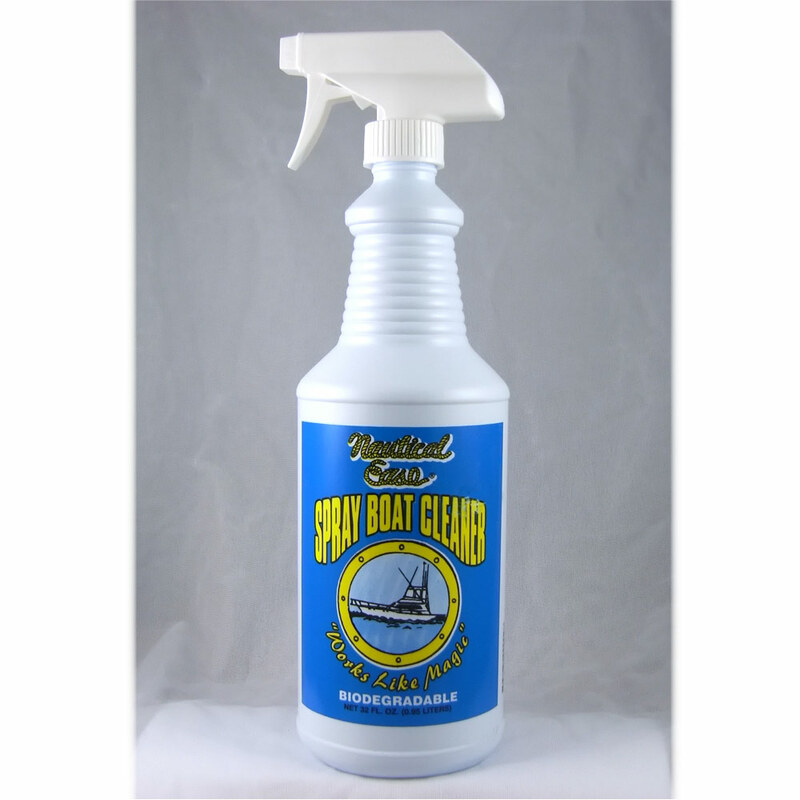 Will also remove water spots from boats and boat windshields. For the boat owner who wants his boat to look perfect all the way around. This easy to use cleaner is an easy solution. Spray on and let set for several minutes. For light film use a cloth or brush lightly. For heavy film brush harder or re-apply as necessary until deposits are dissolved. Rinse well when cleaning is finished.